The main character, Hiroyuki Shioya, at first sight looks to be just a short grade-schooler. However, the truth was that he was a high school student who had the eyes to look past a person's physical features in one look! He aims of becoming the number one sports doctor in Japan!! Sporting Salt by Yuto Kubota started in issue 43 of Weekly Shonen Jump. 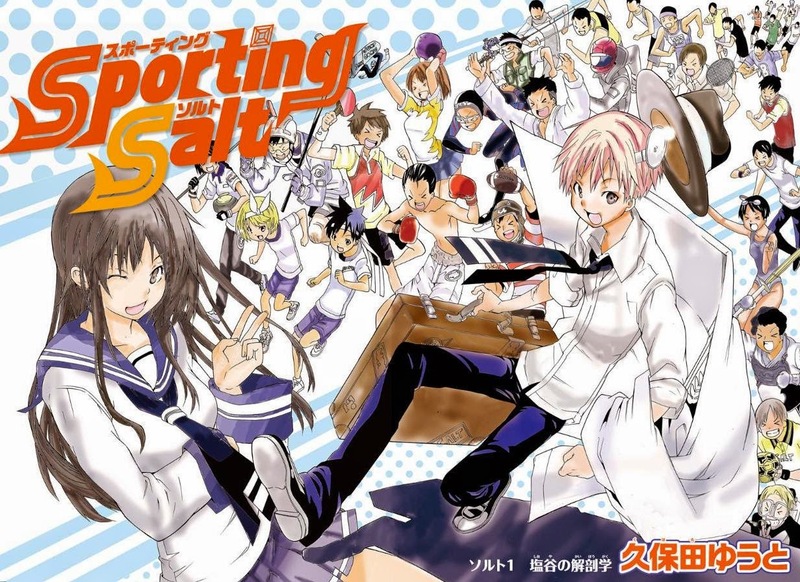 Sporting Salt is Kubota's first series. The artwork is simple yet it fits the story perfectly. The plot of this series does seem a little weak, in that there is very limited ways in which the story can develop. Plus, will the readers really be interested in a high school student who dreams about being sports doctor?